KOHA Stew Recipes are ideal for rotational feeding. 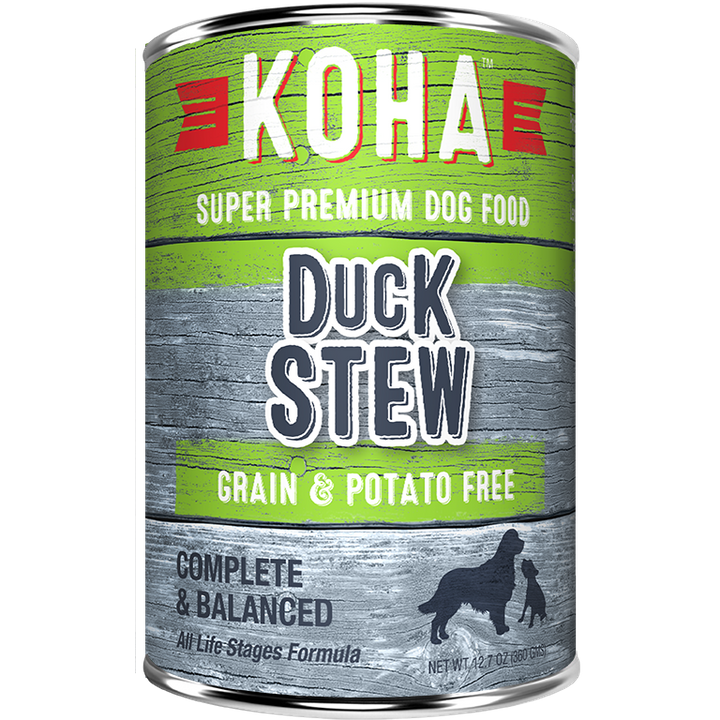 Our Duck Stew Dog Food contains premium Duck from France. All Stew Recipes include New Zealand green mussel to support joint health and pumpkin for healthy digestion. Try it today, and we're confident your dog will love it!